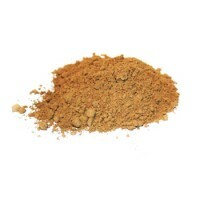 Our maca is selected from the finest organically cultivated sun dried cream, purple and black roots. We use 80% black, 15% purple and just 5% of the cream roots as the black and purple macas have higher nutrient levels so you get a better product with quicker results. 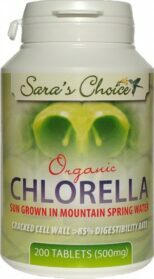 Certified Organic Sun Grown Spirulina – Nature’s Multivitamin – The Finest available today. This tiny aquatic plant has been eaten by humans since prehistoric times, it was known by ancient tribes in Africa as Dihe, the Aztecs called it Tecuitlatl. In recent decades it has been known by the health conscious as ‘Green Gold’ – because there is no other single food on earth to equal its nutritional profile. 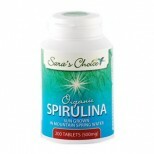 Spirulina has been described by the UN as the ‘Best food for the future’. It contains all essential amino acids, more protein than beef or soy, more Vitamin A than carrots, 50 times more iron than spinach and zero cholesterol. 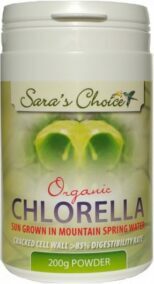 It also helps alkalize the gut which creates excellent conditions for the natural proliferation of good flora like L acidophilus which in turn supports a healthy immune system. 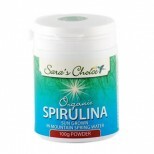 Spirulina is known to produce a feeling of fullness and reduce the craving for sweets and carbohydrates, taken 30 minutes before a meal it can noticeably reduce the appetite. This no doubt is due its nutrient content and high concentration of complex carbohydrates which are metabolized slowly, balancing blood sugar, allowing the body to maintain a more constant blood glucose level and thus reducing feelings of hunger. 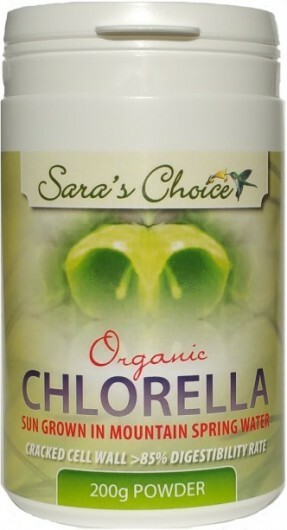 NEW…A WHOPPING 50% INCREASE IN VITAMIN C FOR THE SAME PRICE ! 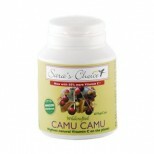 In vegetarian capsules or powder, containing pure vitamin C. Guaranteed the most potent Wildcrafted Camu Camu product available on the planet! Suggested daily intake: Maintenance: 2 capsules or 1g. Take up to 6 caps 3 times daily if experiencing cold or flu or as directed by your health care professional. 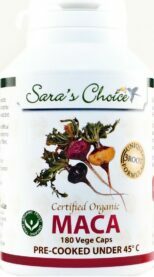 Each capsule of our current batch contains a min 80mg of pure vitamin C plus a host of nutrients and bioflavanoids. 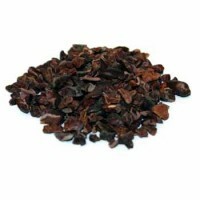 Mix with goji berries for a wonderful nutritious snack-add to cereals, ice cream, smoothies and desserts! Mix in with your granola, goji berries/nuts and seeds mix for a wonderful nutritious snack. 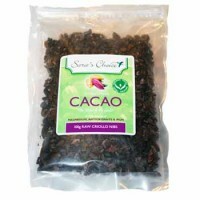 Sprinkle on ice cream, add to any dessert for a totally different nutritious chocolate crunch or simply eat alone and savour the Food of the Gods ! What can you do with it?? 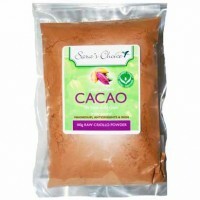 Bump up your antioxidant/magnesium and chromium intake-make the wildest chocolatey tasting smoothies/chocolate milks, sauces and puddings !